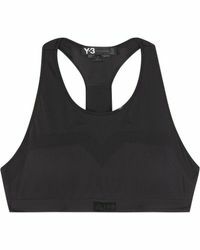 Established in 2002, Y-3 is the highly acclaimed collection create by the mastermind, Yohji Yamamoto and the sportswear brand, adidas. A fusion of the worlds of high fashion and sportswear, Y-3 has built a reputation as the go-to label for sports-luxe designs. The range of Y-3 lingerie focuses on sports bras and bralettes, designed in sports-inspired silhouettes. 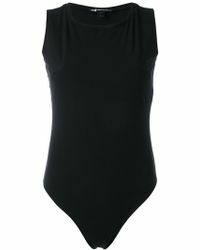 Whether for everyday wear or working out, the collection of Y-3 lingerie offers a cool, sporty alternative to traditional lingerie options, complete with adidas' signature triple stripe. Showing 36 results for "Women's Y-3 Lingerie"